All South Lake Tahoe homes currently listed for sale in South Lake Tahoe as of 04/19/2019 are shown below. You can change the search criteria at any time by pressing the 'Change Search' button below. 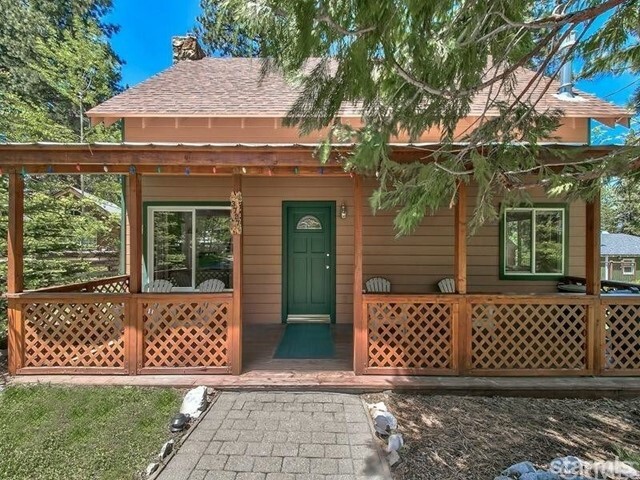 "This charming South Tahoe Town-home is set on a private Road at the top of the community. A quite end unit setting makes it a great home for full time or second home owners. Enjoy relaxing on your choice of 3 balconies surrounded by the beautiful and peaceful Sierras. The home features an open upstairs living concept with beautiful views of the mountains and amazing natural sunlight throughout. It is a prime location just off CA-89 with a short distance from Heavenly, Sierra at Tahoe, and Kirkwood Ski Resorts. Bonus feature of an attached 2 car garage which leads right inside the unit. You'll enjoy this wonderful property."